Should you want to leave the idyllic hills and the luxurious pools at Il Castelfalfi to visit the sea, you’ll likely hear about Marina di Cecina or Marina di Pisa (about 1 hour’s drive). They aren’t bad, but it’s worth it to drive 15 kilometres farther and have the beach to yourself at Marina di Torre del Lago Puccini. 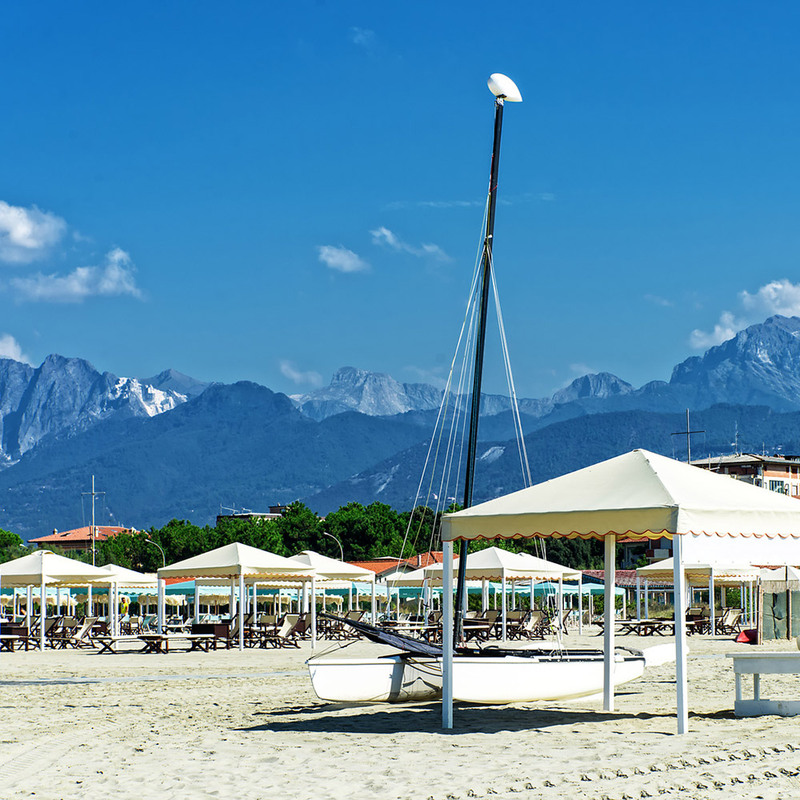 Behind the tongue twister “Marina di Torre del Lago Puccini”, there’s a long, wide, sandy beach where there are so-called Lidi with chair and umbrella rentals, but also a free stretch of beach to the north. The Apuan Alps rise impressively on the horizon like a rugged, high mountain wall – a top-class destination in and of themselves. But we’ll save that for another time. 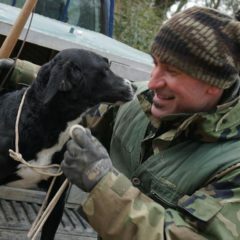 Did you think such things only existed in Iceland or New Zealand? As I promised, Tuscany has it all. In Larderello, about 65 kilometres south of Castelfalfi, we were startled at first: who knew that Tuscany had a nuclear power plant? The cooling towers are, in fact, from the oldest geothermal power station in the world. 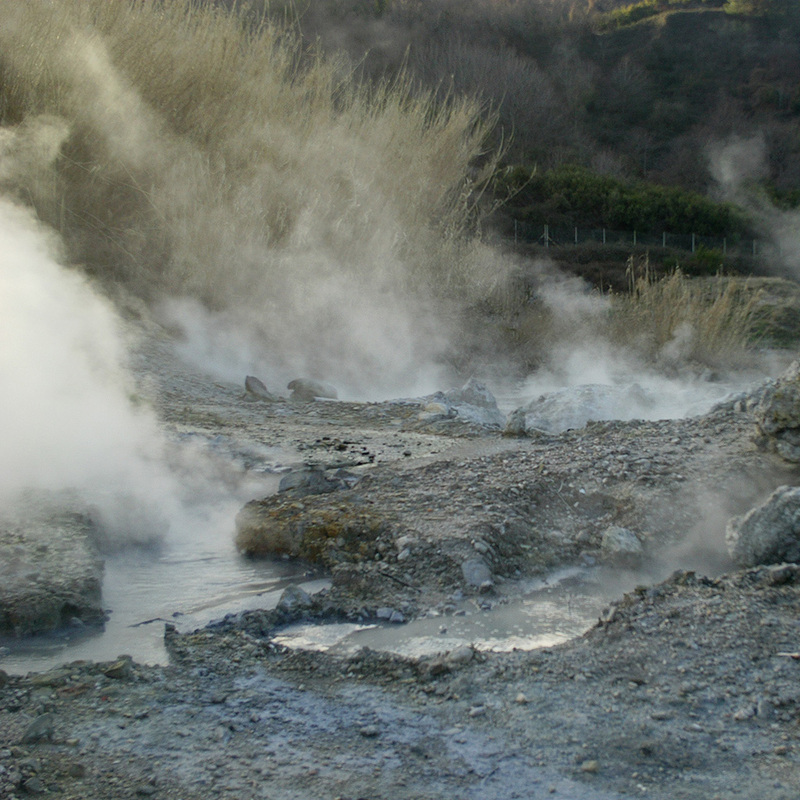 Almost half of the electricity in Tuscany is produced by geothermal energy in Larderello. You can learn more at the interactive museum in the village and also visit some boiling pools (but don’t touch!). Driving through the area, you’ll see smoke and steam rising from corn fields – the earth’s making air here. Tuscany is a volcanic area and Monte Amiata, the highest mountain in Tuscany in the far south, is an extinct volcano (you can ski here in the winter, by the way). You can approach the City of Towers on a relaxing and slightly strenuous hike. I’ve done the beautiful walk twice myself, and the majority of the path goes downhill. It starts at a junction halfway between Montaione and Gambassi Terme. 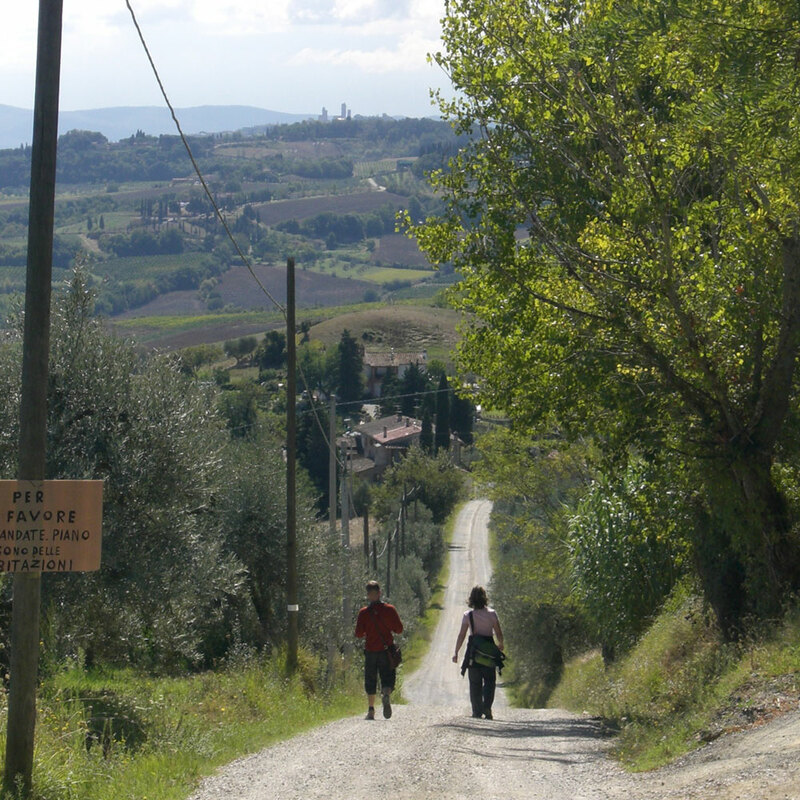 It’s best to get a ride to the starting point and get picked up again in San Gimignano. From here, it’s about 15 kilometres past olive groves, vineyards, cypresses, and strawberries (the fruit is edible, but tastes like foam), always with the towers of San Gimignano as a guide on the horizon. When you’ve finally reached the old town of the “Manhattan of the Middle Ages”, you should reward yourself with some ice cream on the Piazza della Cisterna. The ice cream parlor there is a world champion and the ice cream really tastes world class! 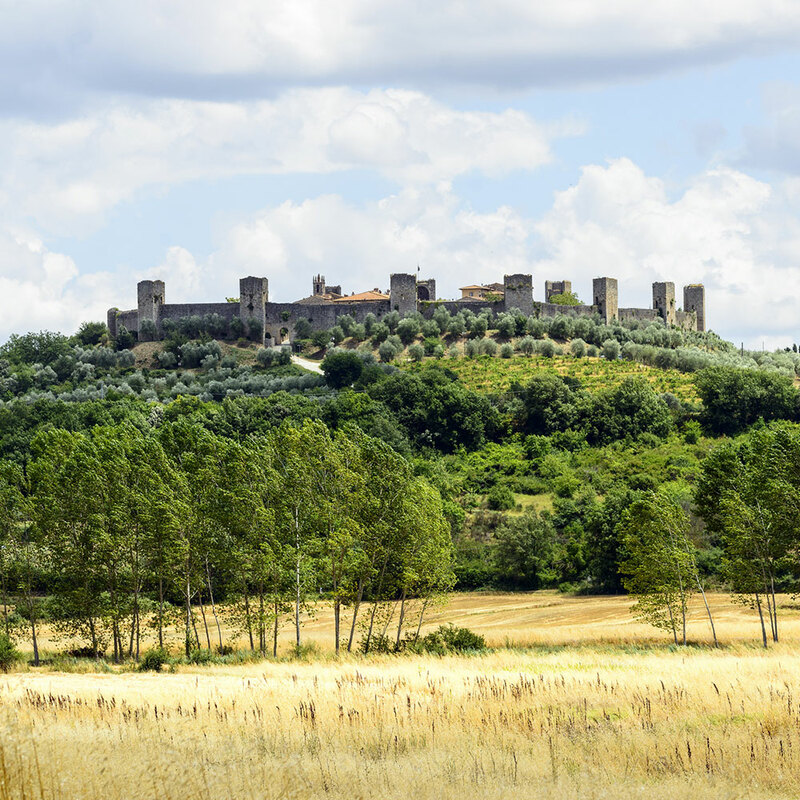 On the way to Siena (yes, that’s definitely no secret), you can find the medieval village of Monteriggioni. It’s definitely worth it to leave the highway and visit this unusual place. The special feature of Monteriggioni is that it completely looks like it did in the Middle Ages: there are old stone houses surrounded by a circular city wall with several towers. There’s no new town outside the city walls to mess up the overall ensemble. You don’t find that often nowadays! Although there are also souvenir shops and the like here, it’s not crowded and you get the rare feeling that time has stopped. It’s definitely worth a stop on the way to Siena! Tuscany is known for the Uffizi, the Medici, da Vinci, Chianti… But did you know that the biggest Chinatown in Europe has developed in the city of Prato? Only 15 minutes away from Florence by train, Prato was already a centre for the Italian textile industry. Chinese immigrants came to work in the many factories, thus reviving an industry that was believed to be dead. Have you ever wondered about the many Louis Vuitton bags on the streets of Italy? Not all of them are real, and they most likely come from Prato. There is also a medieval town centre, but the real attraction is the Via Pistoiese, the heart of Prato’s Chinatown. There are Chinese salons, supermarkets, butchers, and just about everything is labeled in Chinese. We were in a restaurant that was not even marked as such. Visitors like us were not prepared to sit in the guest room where exclusively Chinese patrons smoked cheerfully (there’s a ban on smoking in restaurants in Italy) while watching Chinese television. The menu was puzzling to us and we tried to communicate with the waitress without really speaking the same language. We got a hot pot with ingredients cooked in a spicy broth. 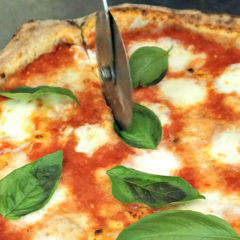 It tasted great and it would be an understatement to call the restaurant visit, ‘authentic’. 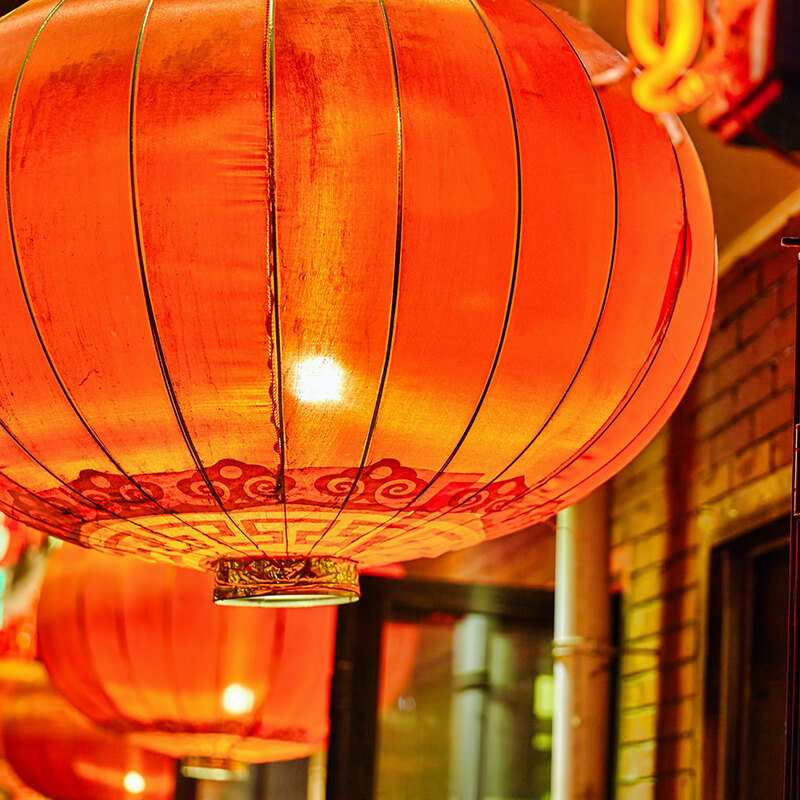 It felt like we made a trip to Asia, though faster and cheaper since we didn’t leave Europe. Certainly, there are other Chinese restaurants in Prato that are more mainstream and requiring less explanation. Nevertheless, a visit to Prato’s Chinatown is a bizarre experience. Everyone knows what’s in Florence, but you can find the cradle of Florentine culture if you take the bus from the city centre to Fiesole. Founded by the Etruscans, Fiesole – where the Romans and the Medici have both left traces – is located on the outskirts of Florence. Here you can see an ancient Roman amphitheatre, magnificent mansions, and of course have a great view of Florence from the hillside. 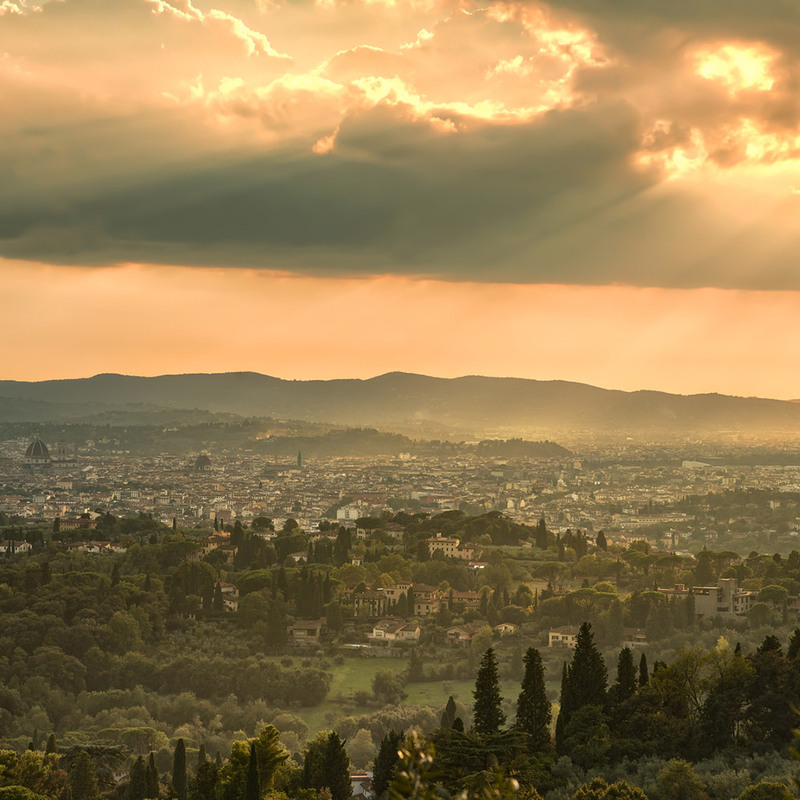 After the visit, you can comfortably walk down to Florence and every now and then catch a glimpse of the rich and beautiful gardens and villas of Fiesole on the way. The cities merge seamlessly and when you arrive in Florence below … Oh, you already know what’s there. 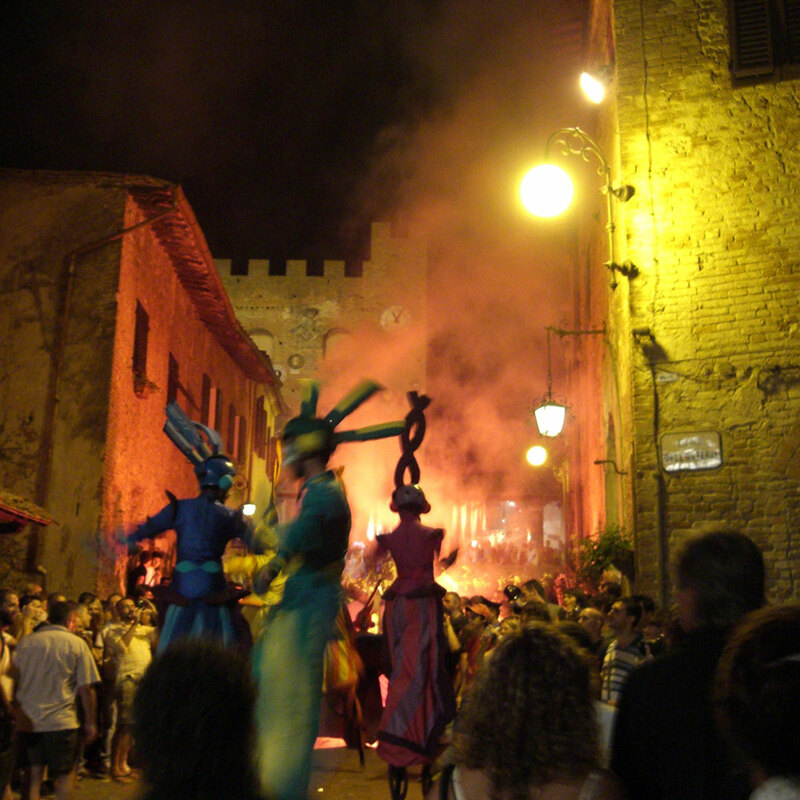 Should you travel to Castelfalfi in the summer, set your holiday for mid-July and get tickets to the street theatre festival “Mercantia” in Certaldo Alto. The city is located half an hour from Castelfalfi. Park your car in the new town in the valley and take the funicular railway to Certaldo Alto. In the fantastically preserved medieval old town, the writer and poet Boccaccio (“Decameron”) gets the spotlight. For nearly 30 years, the festival of “Mercantia” has sent visitors on a journey through time for a few nights in July. Street artists from around the world juggle, play music, recite poetry, conjure up magic, spit fire, and teeter on stilts in Venetian-inspired costumes before electrified audiences. It’s bustling, it’s loud, colourful, mystical, and together with the medieval setting of Certaldo Alto, you get a surreal feeling, as if you had just dreamt it all. Almost befuddled by this explosion of colours, music, and voices for a couple of hours, you tumble through the historic streets and feel like you’ve been transported involuntarily to a county fair in Boccaccio’s time. As I said, for only a few evenings in the year. With admission fees from 10 to 20 euros, it’s a very fair price for such a spectacle! Even I want to do another one. I have so many more tips, I could practically write a Tuscany travel guide from memory. It’s so curious what surprises this fantastic region still holds. If you now fancy a vacation in Tuscany, you might wish for a holiday at Il Castelfalfi for Christmas ;-). 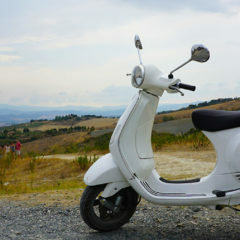 You won’t get far in Castelfalfi without a car. 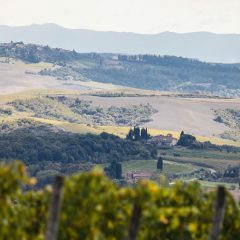 But to go to a bigger city in Tuscany, you can drive to Castelfiorentino, park the car near the station, and take the cheap regional train to Florence or Siena. Parking in those cities is a nightmare, so it saves your money and nerves to do it this way. Trains travel frequently and don’t take any longer than the car.